Hair removal using cotton thread usually for eyebrows and any unwanted facial hairs. The thread is rolled and twisted over the surface of the skin, removing all hairs from the area. 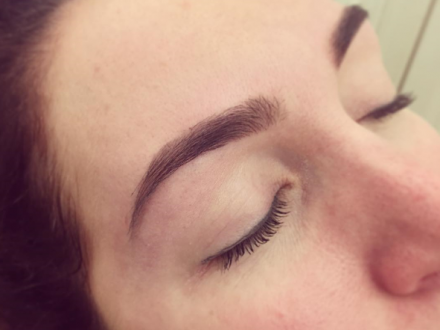 Threading is gentle on the skin and gives amazing shape and results. 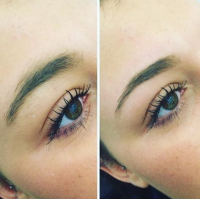 HD Brows, a 7 step treatment to give you the perfect brows to suit your face shape and personal style, totally unique to you! Including tinting, waxing, threading and all the finishing touchers to complete your look. Results can be as natural or defined as you want. Take a look at some of the Moi girls work. *Patch test is required 24 hours prior to treatment. Always leave atleast 2 weeks grow in between treatments. Keep area clean and avoid touching the area too much after treatment to prevent any infections or bumps.